A federal judge will rule on a settlement with SAC Capital. 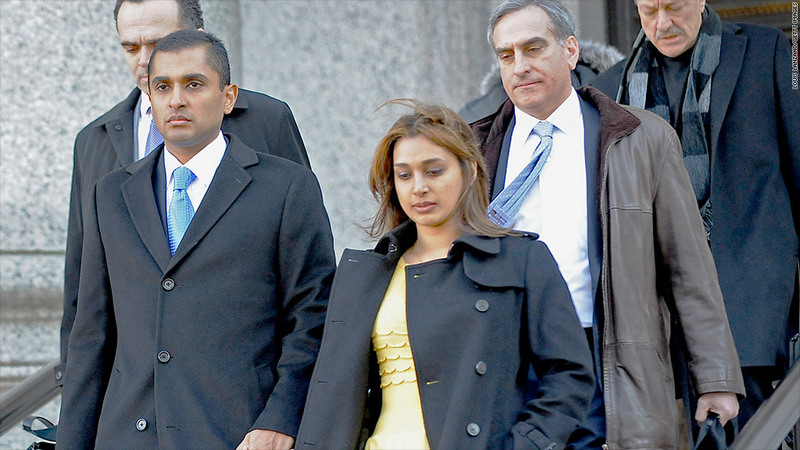 Eight of the firm's former employes, including Mathew Martoma (left,) are guilty of insider trading. A federal judge could rule Thursday on whether she'll accept the insider trading guilty plea from the hedge fund firm formerly known as SAC Capital Advisors, as well as the proposed $1.2 billion in penalties. In a letter she sent Tuesday to prosecutors and defense lawyers, Judge Laura Swain of U.S. District Court in New York said she wants to discuss whether the proposed penalties "take into account the activities of all culpable persons ... or only the activities of the eight identified employees." Two former traders from SAC Capital -- Mathew Martoma and Michael Steinberg -- have been convicted of insider trading and await sentencing. Six others have pleaded guilty. But the indictment targeting the firm does not mention Steven Cohen, the billionaire who founded and managed SAC Capital in Greenwich, Conn. The feds have been circling him for years, but he has not been charged. Prosecutors submitted a request last week that the firm pay about $1.2 billion in penalties. This includes penalties totaling $1.8 billion, but with credit for the $616 million that the firm has already agreed to pay to resolve civil penalties from the Securities and Exchange Commission. The prosecutors said the $1.2 billion sum "represents an amount that is several times larger than the illicit gains and avoided losses resulting from the insider trading alleged in the indictment." The firm, and its subsidiaries CR Intrinsic and Sigma Capital, face criminal charges of wire fraud and securities fraud "for insider trading offenses committed by numerous employees," according to the original indictment from July 23, 2013. The indictment blames the firm for its former employees' insider trading, saying it was "made possible by institutional practices that encouraged the widespread solicitation and use of illegal inside information." SAC Capital switched its plea last year to guilty from not guilty and agreed to shut down its investment advisory business as part of the settlement. The firm, which recently changed its name to Point72, is now based in Stamford, Conn., and operates only as a "family office,' managing money only for Cohen and his employees.